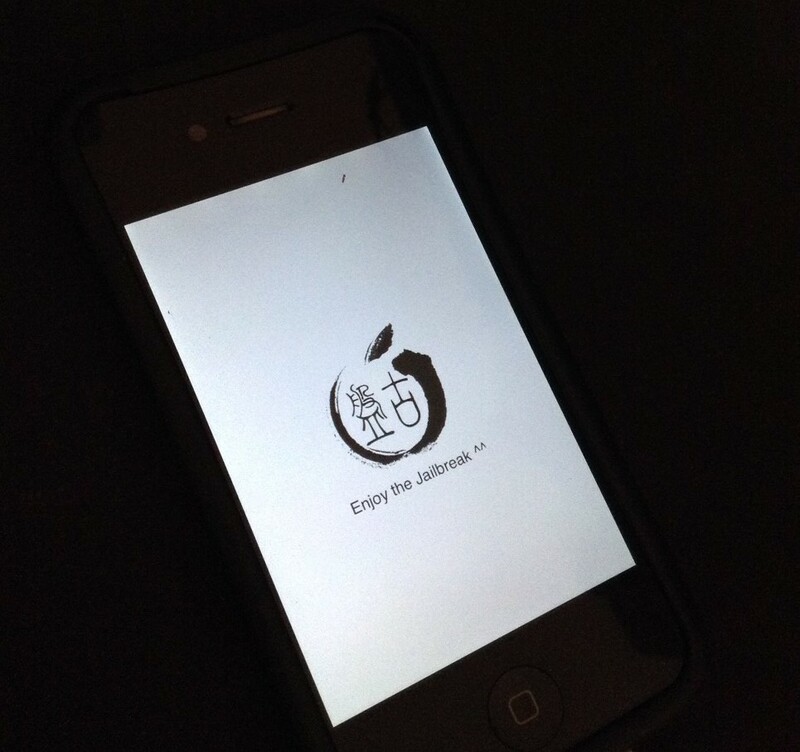 A new iOS 7.1.1 untethered jailbreak called PanGu was released yesterday. Many of you are probably wanting to jailbreak your device but aren’t sure how to. You can pretty much jailbreak any iPhone, iPad and iPod touch that can run iOS 7.1 – iOS 7.1.1. The iPhone 4, iPhone 4s, iPhone 5, iPhone 5c, iPhone 5s, iPod touch 5th gen, iPad 2, iPad 3, iPad 4, iPad Air, iPad mini and iPad mini with Retina display will work with the PanGu jailbreak. For now, the PanGu tool is only available on Windows, so you’ll need access to Windows OS to jailbreak your iOS device. Here’s a step-by-step tutorial on how to use the PanGu tool and jailbreak iOS 7.1.1 untethered. You’re going to need an iOS device that’s on iOS 7.1 or higher, a Windows PC and a little patience. Firstly, download the PanGu iOS 7.1.1 jailbreak tool for Windows from the iJailbreak Downloads Section. Now, using the USB cable, connect your iPhone, iPod Touch or iPad to the computer. Make sure to make a backup in iTunes before you proceed and make sure you’re on iOS 7.1 or later. Also, if you have a Passcode lock, turn that off. Launch PanGu 1.0.exe on your computer and plug in your iOS device running iOS 7.1.x. 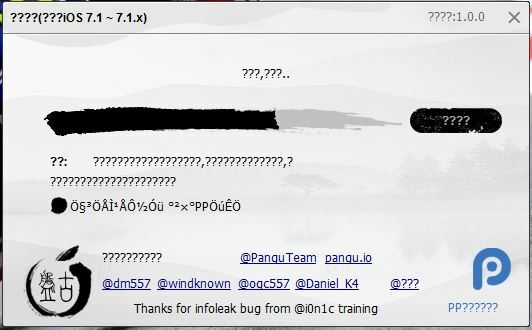 The PanGu tool will have unknown characters on it as it was written on a language that Windows won’t understand. This is normal. It’s similar to the Evasi0n tool. You should be able to recognize the Jailbreak button easily. Uncheck the checked box below the Progress bar. This will not install the Chinese Privacy Store. Now go to Settings>General>Date & Time on your iOS device, disable Set Automatically and change the date to June 2nd 2014. Click on the Jailbreak button, which is next to the Progress bar. The process should start. Tap on the PanGu icon that will appear on your Homescreen to proceed. 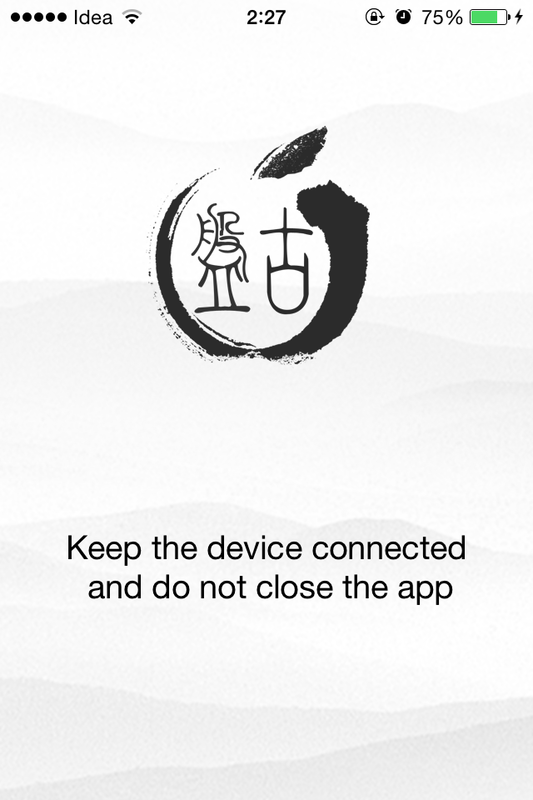 It’ll ask you to keep the device connected and not to close the app. Wait patiently for 5-10 minutes. Your device will reboot and you should see an Enjoy your jailbreak message. Unlock your device and you’ll see Cydia on the Homescreen. Yay! You’ve successfully jailbroken your iOS device. You can now enjoy a fully untethered iOS 7.1.x jailbreak. The date will be automatically set to normal upon reboot and Set Automatically will be enabled. Let us know if you run into any problems while jailbreaking your iOS device. Enjoy the jailbreak! I don’t jailbreak anymore, because i don’t trust the guys who program those tools. Are you sure that they do not infect your device with spyware or a trojan? RSS is not working on the site guys, spent a couple days waiting for news from you on feedly until i finally came to the site! I’m a bit with you, this is a team that is unheard of. ih8sn0w you can’t always trust and just take his word that it’s safe, I’d rather a real dev confirm it like Pod2G and hate to say this but yes i0nic especially even though I hate his guts. I did it as instructed and it seemed to work. The thing is it is still locked to EE and i want to use a giffgaff sim. Any ideas what i have done wrong? You can’t unlock using a jailbreak…. HOLY SHITBALLS!!! SO F***ING EXCITED TO FINALLY HAVE MY JAILBREAK BACK!!! WOOT!!! THANK YOU, YOU CRAZY ASAIN BASTARDS!!! can it be used to jailbreak ios 7.1.1? Turn the date back before you start the jailbreak. It will go right thru no problem. it worked does that mean my phone is now unlocked and not locked to a certain carrier, so i could put any sim in? Is there a version of AppSync we can use now on 7.1.1 ? on which Repo please ? i would get these red question marks on the computer. ): help? update your ios via itunes 1st..after that you can restart the jailbreak pogress. The question marks are okay, they replace the chinese characters your computer can not display. Re-read the tutorial, or search for another one. Unlock is a different problem, and has little to do with jailbreak, actually. It may not be possible yet. Try another part of the window. Try to find a video guide, it will clarify. No, unlocking is a different issue. There may or may not be a solution from Cydia. Jb is fine. Unlocking the sim is not done by this exploit, search somewhere else. I know the questions marks are ok. It’s more of why is it displaying iTunes between the questions marks and not my phone. Hi, please let me know, are you working on unlocking the 7.1.1 idevice? because it is a big issue after the jailbreak. after everything i put in my sim no network and takes me back to activation screen what do i do? how do i stop my ipad from rebooting?